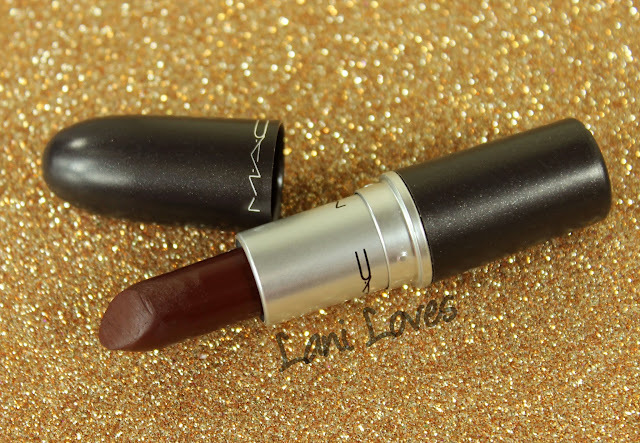 Just a quickie MAC Monday today, featuring one of the lipsticks from the recent MACnificent Me collection: Deep Love. 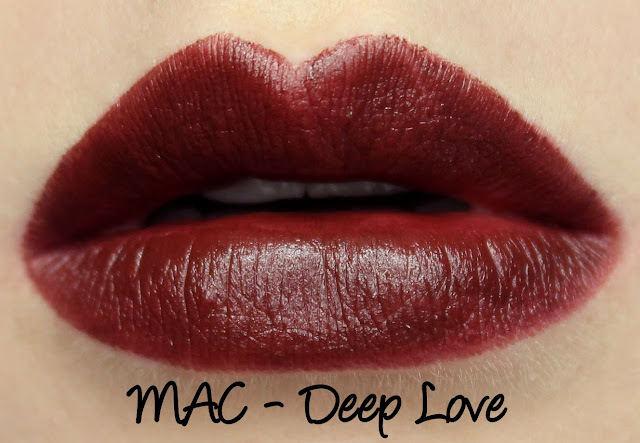 Recently promoted alongside four other lipstick shades in this bumper collection, Deep Love was actually originally a permanent colour that met the chopping block in 2008. Later, it was the working name for what eventually became Frank N Furter (from the Rocky Horror collection), prompting fans to anticipate its return - it only took seven years, but here it is, albeit in limited edition form! Fashion Revival is the only other shade I own from this collection, a deep raspberry matte which originally launched in last year's Matte Lip collection. You can find more swatches and a full review here. 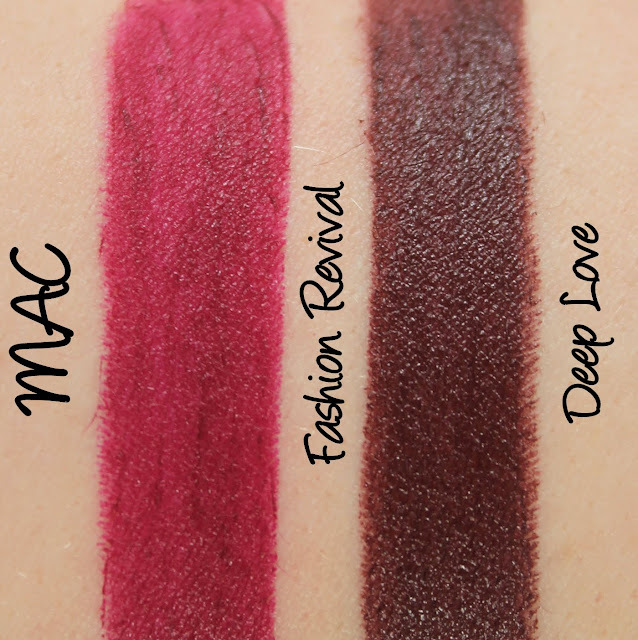 Both shades are still available on the US MAC website and I spotted Deep Love still on counter at my local MAC store too. 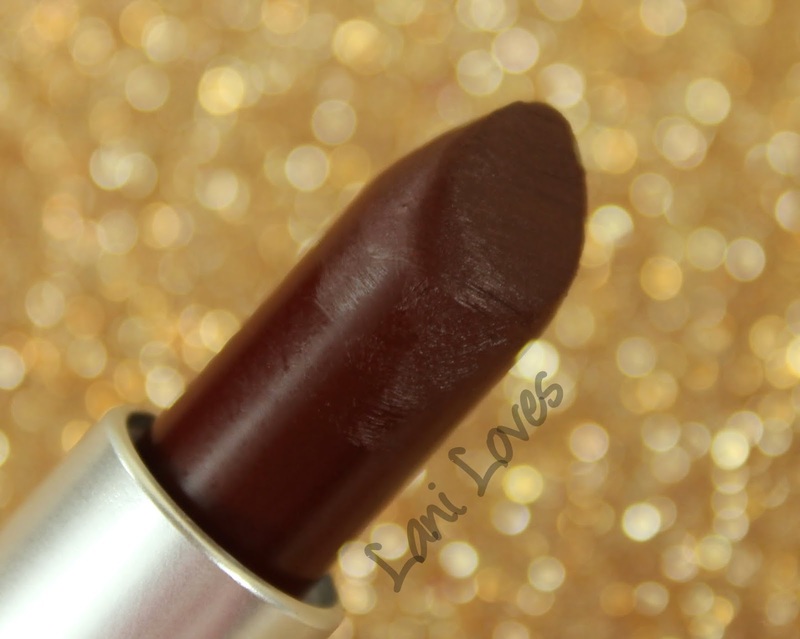 Deep Love is described as a 'deep brown wine' with a matte finish. This is what chocolate covered cherries would look like as a lipstick, a rich, warm shade that I like much more than I thought I would on my skintone. 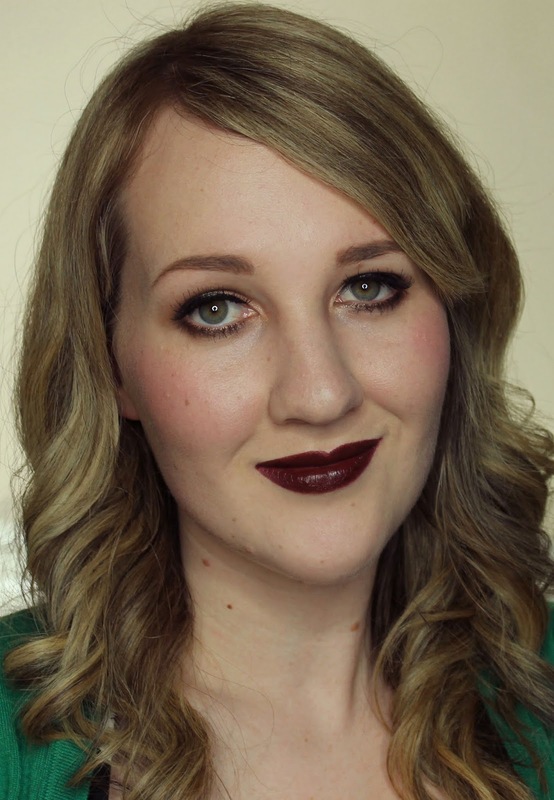 The colour pay off is mostly opaque - having slightly more slip and sheen than most of MAC's mattes, I found it to be a touch patchy as a result. This wasn't really noticeable from a normal viewing distance though. Deep Love wore for five hours on me and did not feather, but it was mildly drying. What do you think of Deep Love?